Hockey is, without a doubt, the toughest and most demanding of the “big four” major professional sports. Football demands toughness, yes, but only 16 times a year to hockey’s 82 (potentially 110 if you’re on a great team that just can’t avoid war). Minor injuries like sprained pinkies can sideline a basketball star for weeks, while legendary Detroit Red Wings captain Steve Yzerman won his final Stanley Cup on a broken leg – he didn’t just show up for the finish, he performed. As one of the chief supporters of esports taking their place right alongside other sports, you won’t ever find me begrudging baseball its more mental than physical nature, but nor will you ever hear me claim that hockey is any less cerebral for all its other facets. The sheer speed and skill level involved demands it. Interference didn’t graduate from polite suggestion to strictly-enforced rule until 2005. Old-Time Hockey takes place in the 1975-76 season. The 1970s were a different time in hockey culture, most evident in a pair of Philadelphia Flyers championships in 1974 and 1975 that gave rise to the club’s reputation as the Broad Street Bullies, then lampshaded by Hollywood in 1977 in the form of legendary Paul Newman vehicle Slap Shot. The reality may have been decidedly less over-the-top, with the Flyers almost universally vilified within the hockey world for their tactics and ultimately failing to duplicate their success using the same model in the future, and Slap Shot being more singularly responsible for hockey’s reputation in the American mainstream than much of anything to do with the on-ice product except in the most extreme of cases. Still, there certainly was some truth to the perception that marked a unique time for the game. The 1990s had plenty to offer the hockey world, as well. NBA Jam had just shown the world what a symbiotic relationship between the sports industry and the game industry could do for a league’s fanbase, and with ESPN’s help, the NHL was poised for a genuine mainstream breakthrough. Wayne Gretzky, still in his prime, would never touch the Stanley Cup again, but a long stint with the Los Angeles Kings culminated in a trip to the 1993 Stanley Cup Finals. That timeframe would see a swath of new fans introduced to the game, preparing the non-traditional market of the American southwest for the growth that would follow. The Anaheim Ducks, San Jose Sharks, Dallas Stars, Arizona Coyotes, and the newly-minted Vegas Golden Knights all have Gretzky’s LA run to thank, to varying degrees, for their very existence. Sometimes, in the course of human events, lumber ends up in places lumber should never go. Moreover, EA Sports, looking to follow up on the success they found in football with the John Madden franchise, broke into the hockey market. The 16-bit hardware was ill-suited to truly simulate the Coolest Game on Earth, but EA’s attempts were genuinely entertaining games of elegant simplicity that introduced a generation of gamers to Gretzky and his many contemporaries: Mario Lemieux, Joe Sakic, Steve Yzerman, Jeremy Roenick, Peter Forsberg, Mark Messier, Jaromir Jagr, Pavel Bure, Nicklas Lidstrom, and Eric Lindros, to name but a fraction, all of whom were just as impressive to watch live as they were on a little plastic cartridge. 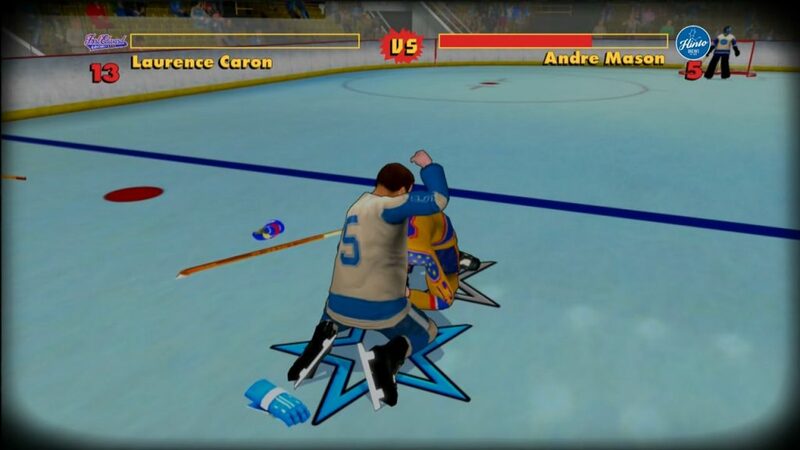 Old-Time Hockey is the first hockey video game to include a ground-and-pound mechanic. The time-honored cut-across works just as well here as it did on your Sega Genesis. Test the goalie’s lateral movement every chance you get. Old-Time Hockey is a 5-on-5 arcade hockey game from V7 Entertainment set in the fictional 1970s BHL (Bush Hockey League, naturally), a semi-pro organization that still somehow manages a presence across much of the US/Canadian border, from the Quebec Voyous to the Cascadia Timber Cats. The Story Mode, which makes up the entire early single-player experience, has you playing as the lowly Schuylkill Hinto Brews, reduced to a roster of has-beens and functioning alcoholics after an ill-fated early-season encounter with the aptly-named Portage Lake Widowmakers reduced the entire top line to quadriplegics and the rest of the team to a demoralized pack of useless but endearing knuckle-draggers. Throughout the balance of the 1975-76 season, the Brews will relearn the game of hockey and attempt to return to relevance by playing to their unique strengths. Specifically, pure thuggery. Because of the dismal state of the team, the focus isn’t so much on winning hockey games as it is on accomplishing certain objectives throughout the course of them. Have a certain success rate in the faceoff circle, for example, or have a single player with a certain number of shots on goal. In some cases, simply learning how to handle the puck correctly or to take a slap shot is rewarded. Enough success on that front will eventually, slowly, mold the Brews into a team ready to start competing in earnest and begin their long climb up the BHL standings…or, failing that, beat the rest of the league into submission, as causing enough injuries to force a forfeit is a legitimate way to win here. The story behind the games is told, brilliantly, through the load screens. Early in your run, you’ll discover your team’s impaired state of play may be explained by the pile of empty beer cans and flasks found under the benches after games. This foreshadows a later scene that should sell the movie script by itself, where a club party goes out of control, resulting in the team stealing their own bus and crashing it. When DUIs are dispensed, team owner/GM/coach Marty Lisman starts second-guessing the long-standing unlimited complimentary beer portion of their local sponsorship, eventually selling the team’s walk-in beer cooler outright for the contract of a replacement veteran forward. It’s not SoulCalibur, but it gets the job done. As you might expect, a guaranteed injury to the loser in this one. Finishing the Story Mode will unlock Season Mode, which allows you to pick any BHL team you wish and play through a more straightforward season without the objectives and storyline you experienced with the Schyulkill Hinto Brews the first time around. Given the difficulty slant of the Story Mode necessitated by the underdog tropes it’s built around, it’s kind of a shame that Season Mode isn’t available from the onset, but the real star of the show still has to be the multiplayer exhibition games. Get a few friends and a couple cases of beer together for some Old-Time Hockey and these minor issues dissolve rather quickly. 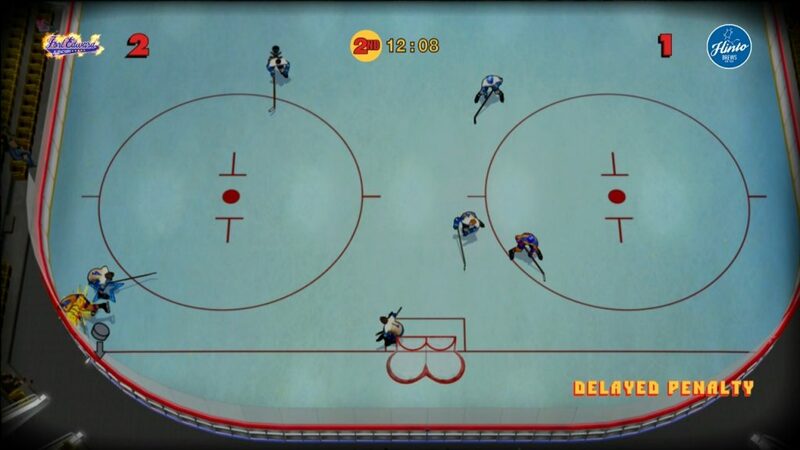 One key point to Old-Time Hockey is giving you several different options for how to play, starting with the Advanced controls, which are effectively the EA Sports controls with a small handful of thematic tweaks. Your options also include the NHL ‘94-inspired Classic Mode and even Beer Mode, which was made to utilize only one analog stick and two triggers, as to leave a hand free for drinking. It’s the most creative and entertaining solution yet to the ages-old drinking problem of having two hands and only one beer. The killjoys in Toronto these days call it ”clipping”, but here, a nice deep hipcheck is the centerpiece of your defensive toolkit. 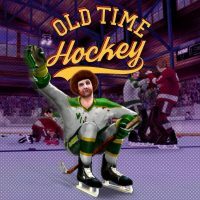 The greatest thing about Old-Time Hockey is just how well-suited it is for whatever you might want to do outside of the usual EA Sports NHL fare – V7 Entertainment leaves it to EA to do what EA does best, while tailoring its own offering to everyone else. 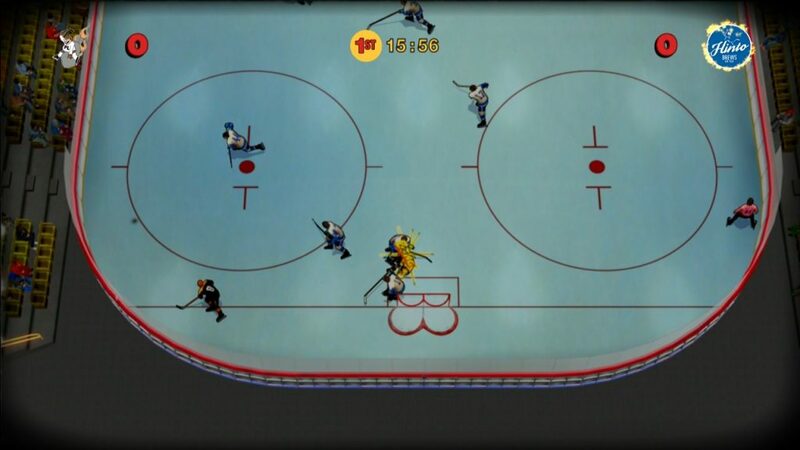 Single-player gamers will be treated to an entertaining story mode that actually represents a Slap Shot sequel worthy of the name (as opposed to the pair of cinematic abortions that actually bear the names Slap Shot 2 and Slap Shot 3), while multiplayer fans will have no trouble whittling nights away styling on each other with run-and-gun plays or trying to force forfeits by gooning it up. 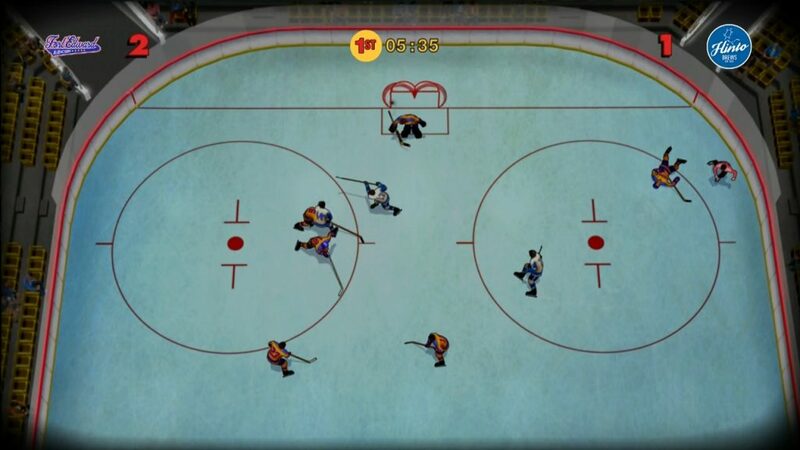 Simply put, Old-Time Hockey feels exactly like a pick-up-and-play, classic arcade hockey game should feel, even if you want the nuance and variety that comes with a more modern control set. 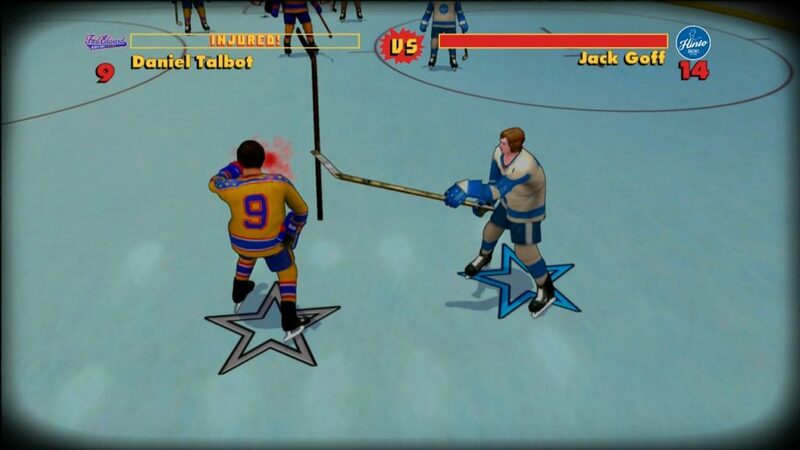 Whether you enjoy hockey specifically, or arcade-style multiplayer gaming as a whole, you need Old-Time Hockey in your library. A review code for the PS4 version of the game was provided by the publisher. Lots of praise from the reviewer. I liked it enough but I do feel it’s heavily flawed.The story and presentation is fantastic, but something like shooting the puck or switching between players on defense is hardly intuitive. The AI is weak. Nine goals out of ten I score using the same lateral move on the goaltender, which I first got by luring the defense man away from the front of the net. And for a game largely about line brawls and fights, the fighting mechanics are so bad! But I suppose for the price, I would say it’s worth the cost if you want some good old school hockey thrills with a hint of the Hanson brothers.